SHACKLETON, Keith (1927- _ Antarctic and Arctic explorer and relative of noted explorer Sir Ernest Shackleton. Keith is a British painter concentrating on landscape views and animals. He used footage from his explorations for a presentation on a BBC Television program named “Animal Magic”. 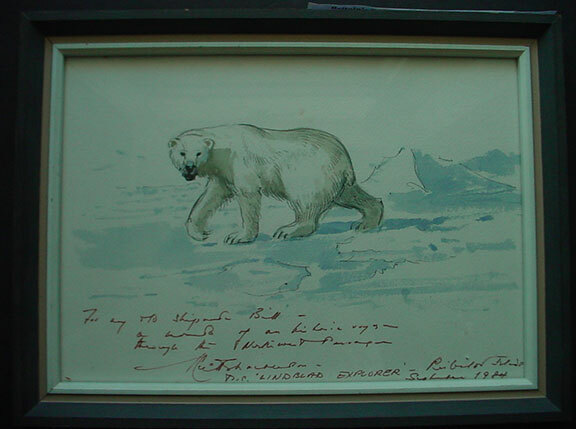 He was president of the Royal Society of Marine Artists and the Society of Wildlife Artists of which he is also a founding member. Shackleton worked extensively as a naturalist/boatman on the MS Lindblad which he explored mainly in Antarctica but also in the Arctic. 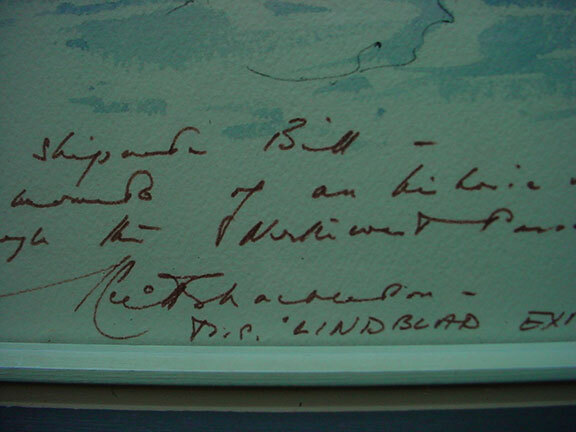 He wrote a major book on the voyage of the MS Lindblad. 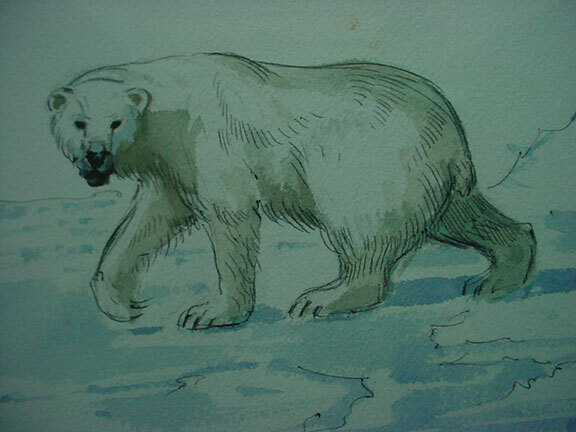 Original watercolor by Keith Shackleton, of a polar bear on ice, measures appx: 8.5”x11”.